Bold colours? And eye-catching prints? That’ll be Tuile. This set of 2 cushions adds comfort wherever you need it – with a large helping of style. 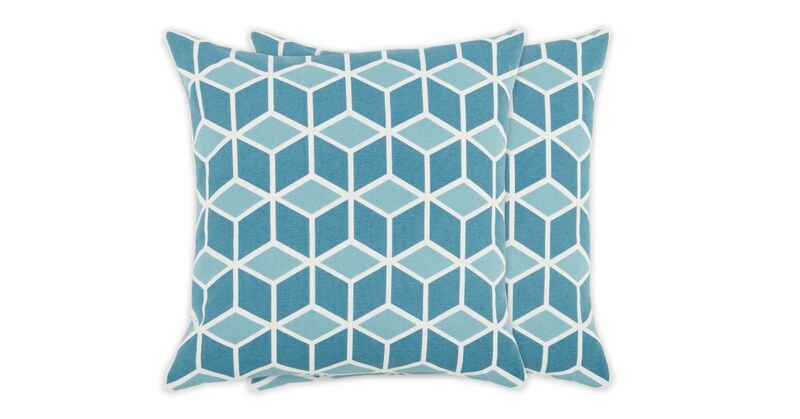 Tuile’s geometric pattern is perfect for enhancing your space with a Nordic twist. Contrast yours with solid tones for a fresh and playful look. Mustard yellow or mineral blue? Tuile’s available in 2 tones that are guaranteed to liven up your home. Go for both if you’re spoilt for choice.